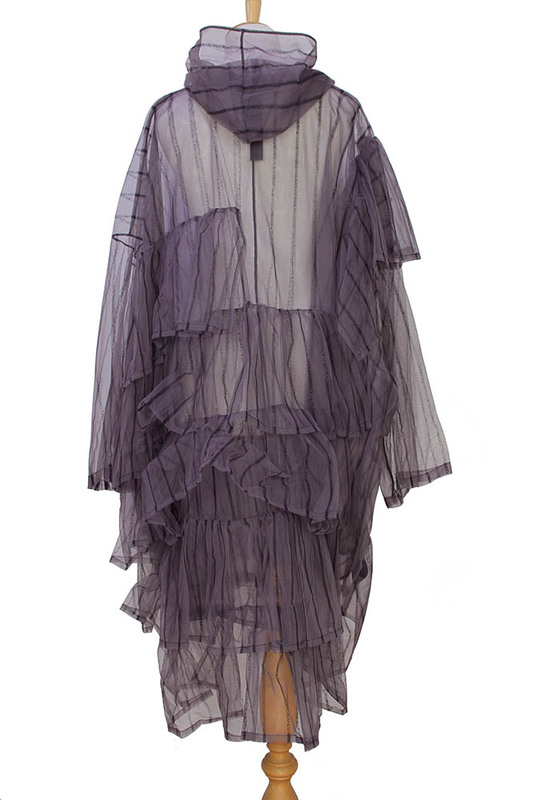 Barbara Bologna one-size, 'Brave Parka' in grey with a mauve tint and black stripe net fabric, with hood. Zip fastening down front with round metal pull. Very wide, with wide sleeves and multi frill decoration. Frills all down the rear and over the right sleeve. Again a unique piece and very special. Over large to give a wonderful drape on many sizes.